Beijing floats 5-point proposal at inaugural ASEAN-China Defense Ministers’ Informal Meeting. On October 16, China hosted ASEAN defense ministers for the first-ever informal meeting of this kind in Beijing. The holding of the inaugural ASEAN-China Defense Ministers’ Informal Meeting (ACDMIM) is itself an achievement for China and ASEAN. For China, it is the realization of a proposal it has been floating for years to boost defense ties with Southeast Asian states (See: “China to Hold First Meeting with ASEAN Defense Ministers in Beijing”). 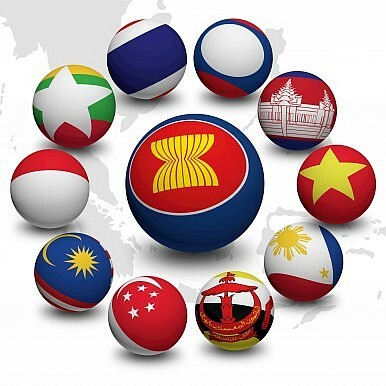 For ASEAN, it is another step in the deepening of the regional grouping’s security relations with major powers. Despite the singular focus on China, a point often missed amidst sensationalist headlines is that this comes after the holding of similar ‘first’ defense ministerials with the United States and Japan in 2014. The timing and sequence of these events is not insignificant. But beyond this general significance, what did China aim to achieve at this inaugural meeting? Close observers of ASEAN-China relations know that China is fond of making proposals in numerical terms – with the “2 + 7 cooperation framework” in 2013 and the “ten point proposal” in 2015 being just two recent examples of this (See: “Beijing Unveils New Strategy for ASEAN-China Relations”). Things were no different at the first ACDMIM. Chinese defense minister Chang Wanquan, who chaired the meeting, put forth a “five point proposal” for boosting security and defense cooperation between China and ASEAN. The first two points essentially lay out the link between defense cooperation and the broader ASEAN-China strategic partnership as well as the Asian Security outlook respectively. The first point is fairly boilerplate – Beijing is fond of emphasizing that security ties are just one part of the overall ASEAN-China relationship. The second point, though, is notable. In referencing the Asian Security Outlook, which was a product of the Conference on Interaction and Confidence Building in Asia (CICA), Chan was emphasizing China’s vision for a new security concept and related institutions to replace the U.S. alliance system, with Asians solving their own problems (or ‘Asia for Asians’). To be sure, few doubted that this was part of China’s objective – ACDMIM itself, after all, was held back-to-back with the Xiangshan Forum which is another China-led institution. But the inclusion of it in the five-point proposal, and the suggestion that it “should be honored,” will only add to the suspicion in some quarters about China’s designs in the region. The remaining three points are relatively more operational. They call for the boosting of defense ties through the continued building of security mechanisms – including ACDMIM and others like the ASEAN Regional Forum; the deepening of cooperation in functional areas ranging from humanitarian operations and military medicine science to anti-piracy and anti-terrorism; and the management of disputes including through the holding of new joint drills. But among these, the fifth one has garnered the most attention. That is no surprise, since China has proposed the holding of both a joint drill involving the Code for Unplanned Encounters at Sea (CUES) as well as another one involving maritime search and rescue and disaster relief in the South China Sea. Yet as I pointed out in a separate piece for The Diplomat, these proposals are not as revolutionary as they seem (See: “The Truth About China’s New South China Drill Proposal With ASEAN”). In particular, the South China Sea joint exercise – while intended to seem like a conciliatory gesture to calm tensions – is quite limited in scope and will not be without its challenges if it is pursued alongside China’s illegal artificial-island building and militarization campaign. As I note in the piece, a Philippine senior naval commander told Reuters rather cheekily that Manila welcomed the proposal as it offered an opportunity to verify if China’s artificial islands in the South China Sea truly had no military purpose. Of course, as with other Chinese proposals in the past like the “2 + 7 cooperation framework” and the “ten point proposal,” some of these initiatives will move forward with varying speeds while others may eventually not progress at all. But with the inaugural ACDMIM, China has clearly laid out its parameters for the advancement of defense ties with ASEAN. Chinese military official confirms a special meeting will be convened later this year.